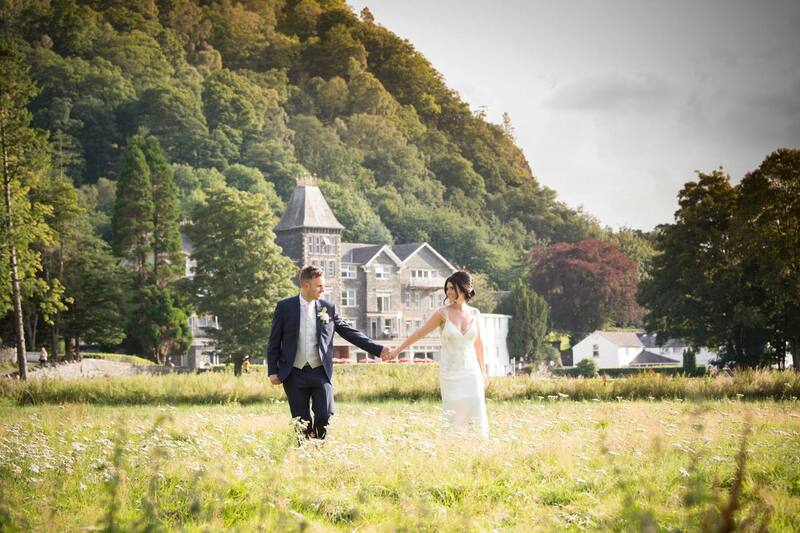 The Lodore Falls Hotel is the perfect wedding venue for your special day. We have stunning suites, ideal for an intimate ceremony, larger wedding parties or evening events and a beautiful Garden Gazebo. Our award-winning head chef and his team serve creative, exciting menus using fresh, local ingredients to ensure your wedding will be remembered not only for the occasion, but for the cuisine itself. 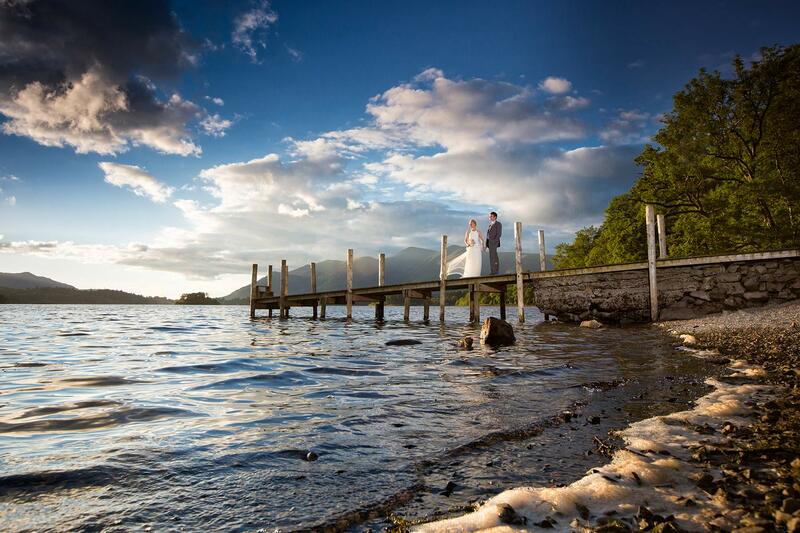 With spectacular photo opportunities, this really is one of the finest wedding venues in the Lake District. See below for more information. WINNER! 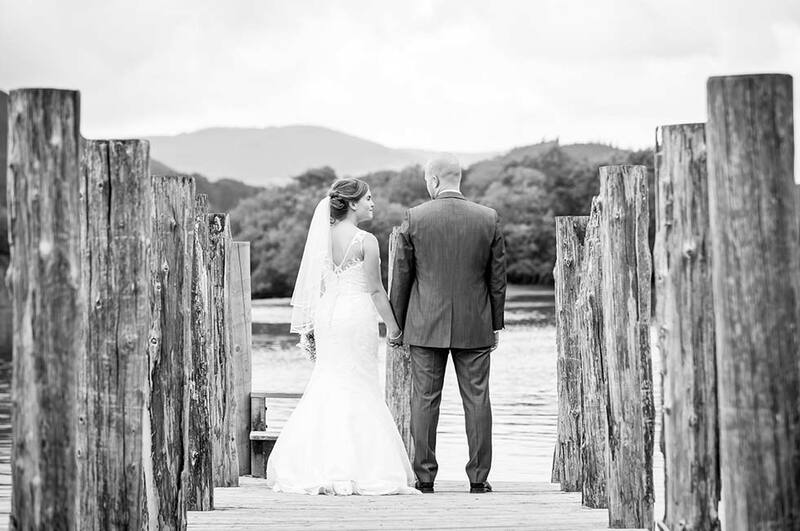 Guide for Brides - Best Waterside Venue 2019. 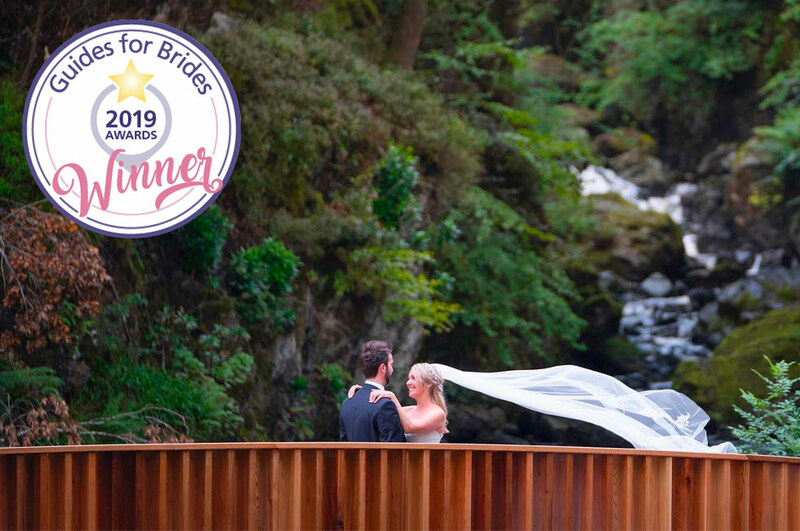 Tie the knot in sublime style at Lodore Falls Hotel & Spa. A unique wedding venue; where the inside/ outside space blends seamlessly; to create the ultimate natural backdrop to your big day. Welcome to your very own luxury lakeside retreat where romance, natural beauty and stunning photo opportunities surround you and your guests at every angle. No filter necessary. 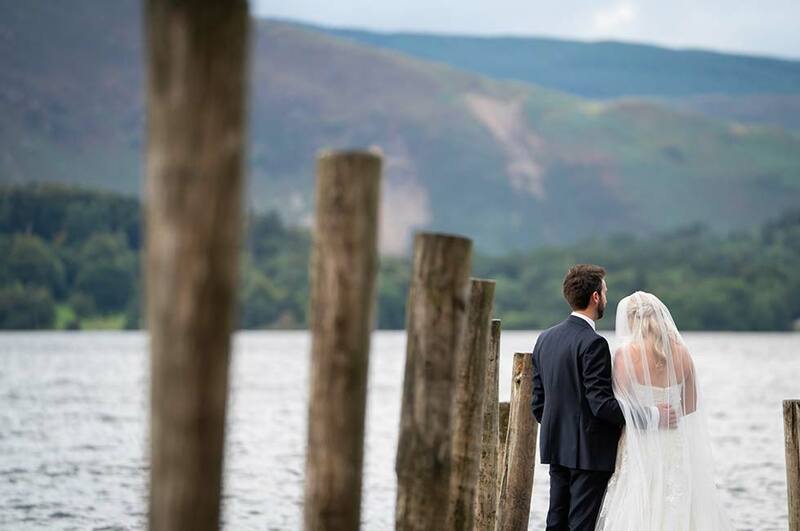 Take your vows under our beautiful garden gazebo overlooking the Catbell’s fell and tranquil waterscapes of Lake Derwentwater and the Watendlath beck. Enjoy a cocktail and canapé reception in our newly built lightflooded conservatory. Enjoy a sumptuous wedding breakfast in our elegant Derwent Suite hosting up to 120 of your friends and family. 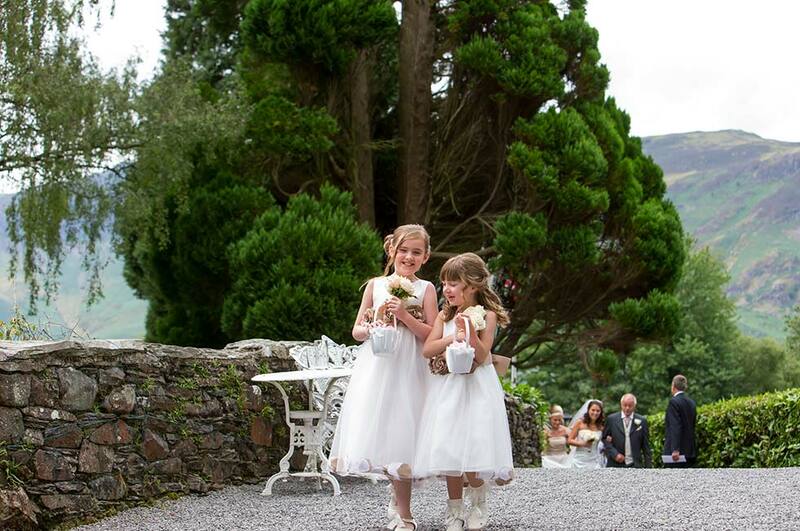 Garden Gazebo - Our outdoor venue located over our Packhorse bridge with views to the fells and Lake Derwentwater. Set beside the river that comes directly from Lodore Falls. Derwent Suite & Conservatory - The Derwent Suite can be one large suite or three smaller suites depending on numbers. 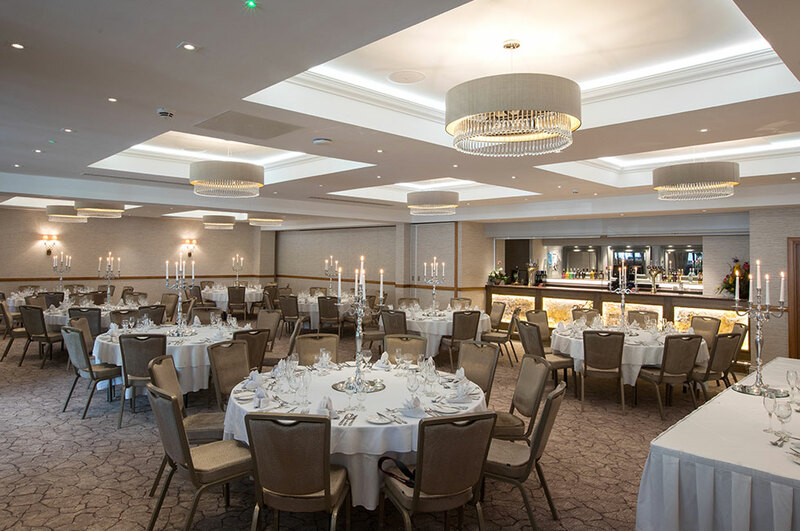 Refurbished in August 2017, along with a brand-new adjoining conservatory - it won’t take much imagination to make this venue the perfect place for your special day. Our summer wedding package has been created to lend your big day effortless sophistication. 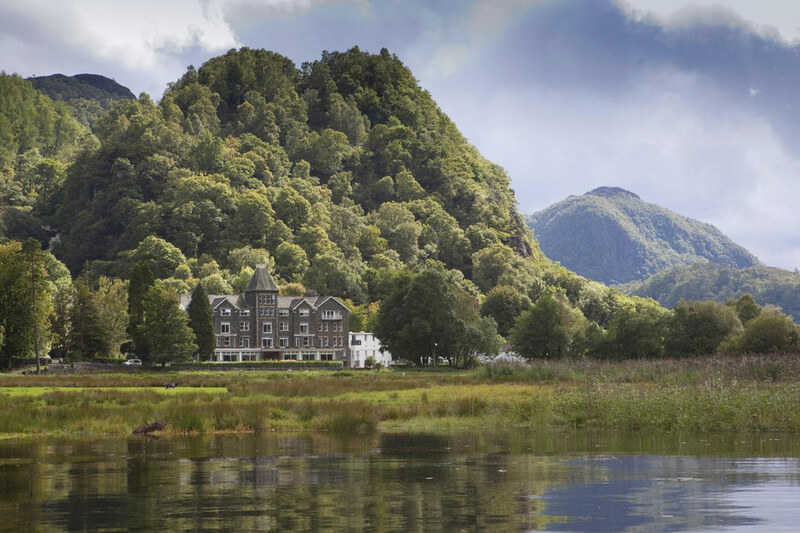 From the Lake View accommodation to the delectable three course wedding breakfast; it’s all here for you both. 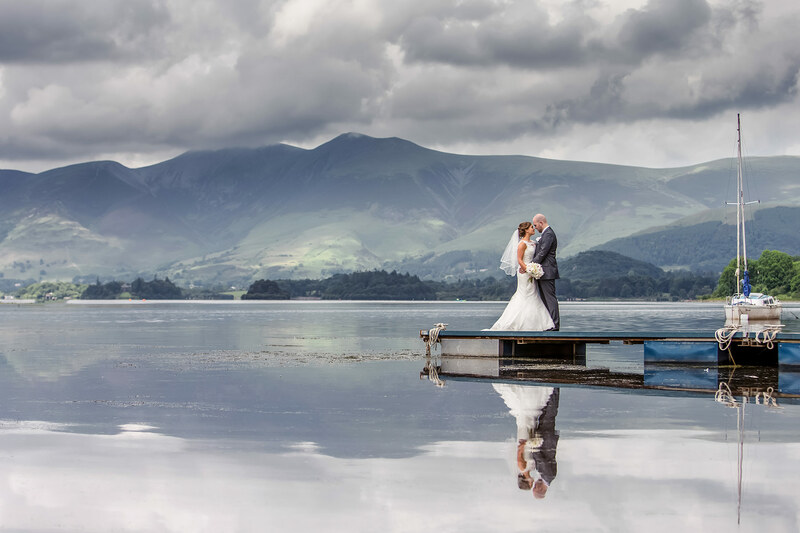 Fusing the finest wedding reception traditions with a more relaxed celebratory evening in our tranquil Lake District setting. 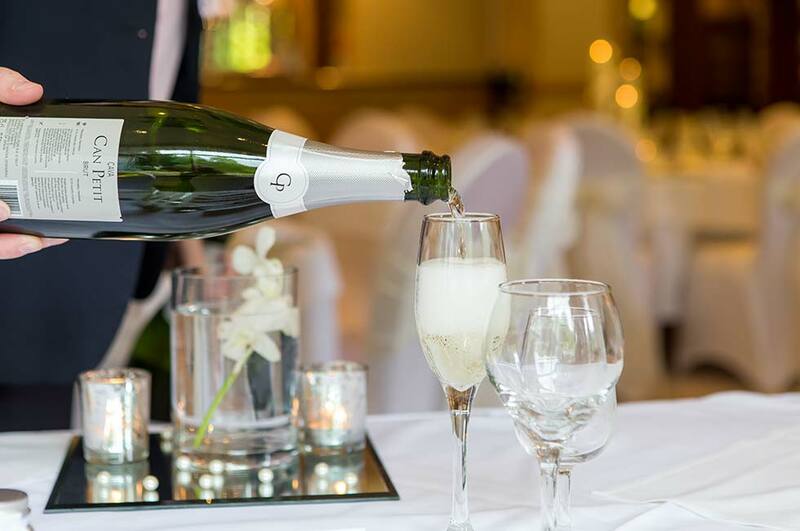 Our dedicated Wedding Coordinator will help you plan your day including the 4 course menu and drinks selection. Throughout November and December the Lodore Falls Hotel is elaborately decorated with dazzling Christmas decorations inside and out, with hundreds of trees and twinkling lights to create a magical winter wedding. For something more low-key and intimate, this package is absolute perfection. The attention to detail is just as important but the atmosphere is super relaxed. Available for up to 22 guests. We would be delighted to discuss your wedding and show you around our stunning venue. 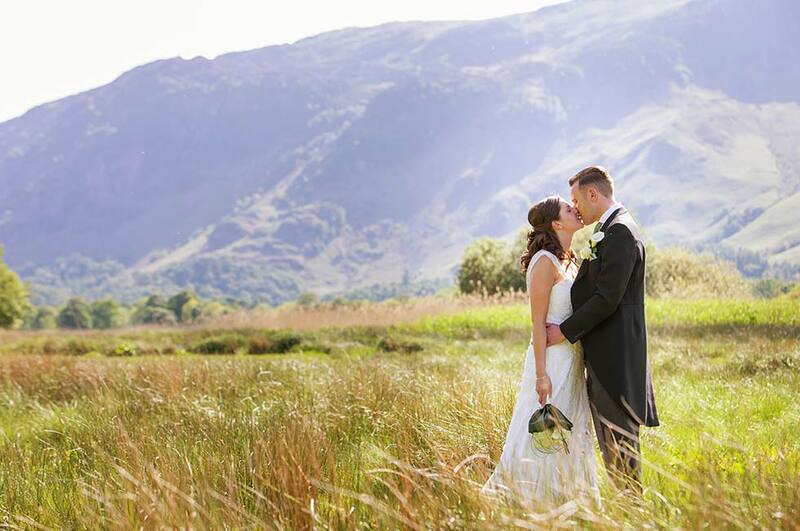 Please call us 017687 87701, email weddings.lodorefalls@lakedistricthotels.net or fill in the form below and we will be in touch. Please see below some questions that we get frequently asked. We also have a handy wedding checklist to download and print off to help you plan your special day. Can I get married at the hotel? Yes of course, we hold a civil ceremony license for our outside garden Gazebo (seating for up to 120) in our Derwent suite (holds up to 120) & Cascade suite (holds up to 25). If you opt for an outdoor ceremony, we will still set up an indoor option if incase the weather is not on our side! Where do photographs take place? 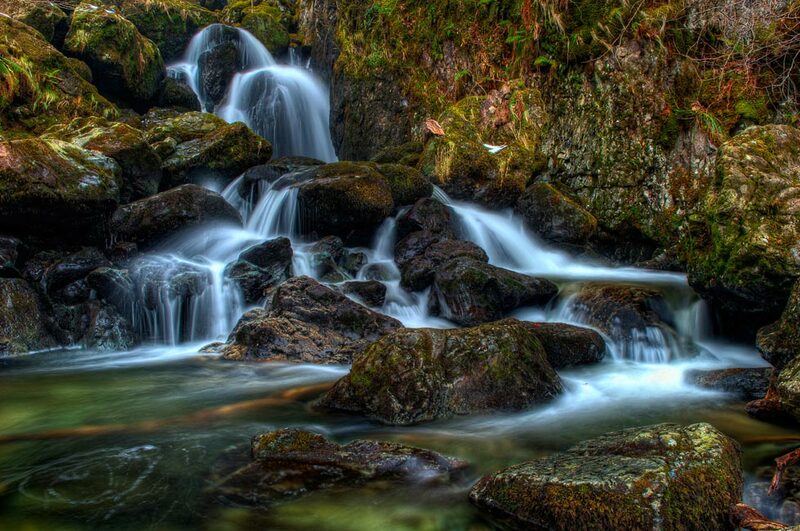 We have SO many stunning photo opportunities in and around the grounds of the Lodore Falls Hotel. 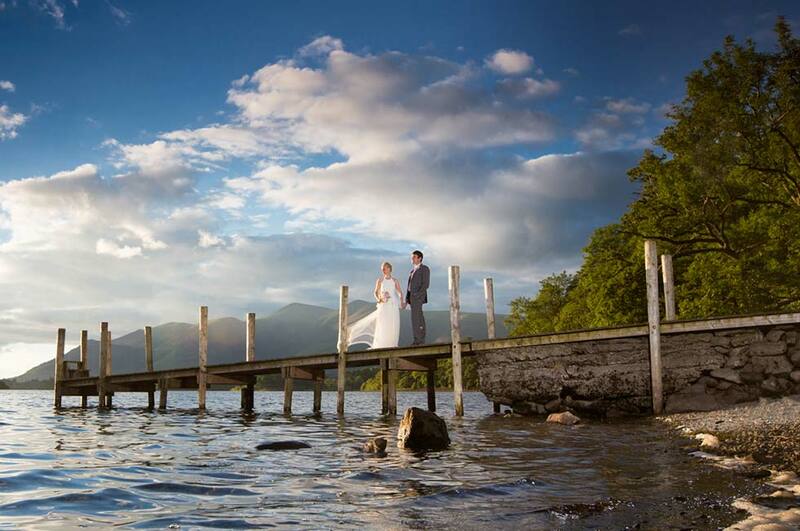 Photographs can be taken on the lakeshore jetty, here you can make the most of nearby fells & Lake Derwentwater for your backdrop; shots next to our famous waterfall ‘Lodore Falls’ , our pretty packhorse bridge and garden gazebo are all located within the grounds of the hotel, while ‘Surprise View’ is just a short drive away, offering sensational views over the lake & surrounding fells. What time does the bar close? Our bar closes at midnight. Do you have a master of ceremonies? Yes – our duty manager will be your master of ceremony, making all announcements on the day & keeping you updated on what is happening next. Do you have a dance floor? Yes, we have a traditional wooden dance floor which is 15x15 ft.
How long can I hold a date for? 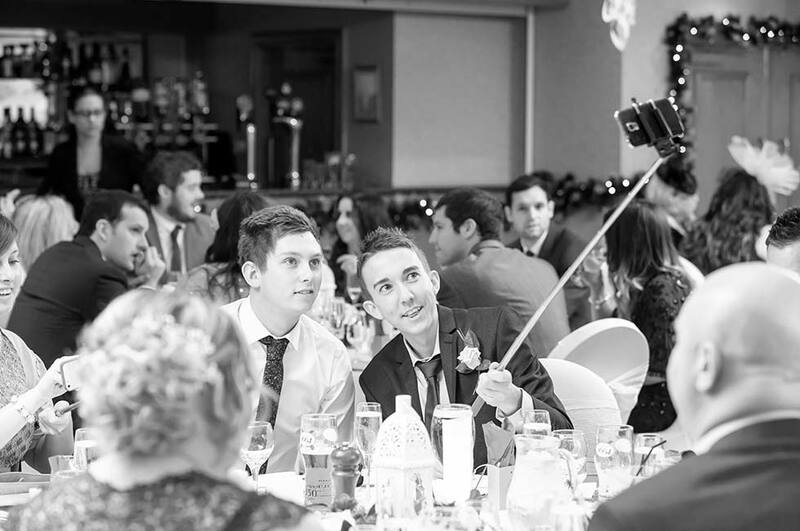 We can reserve your chosen wedding date for you for up to 2 weeks (subject to availability). This should allow you time to finalise plans for your church, civil or humanist ceremony. How many guests can you accommodate for the day & night? 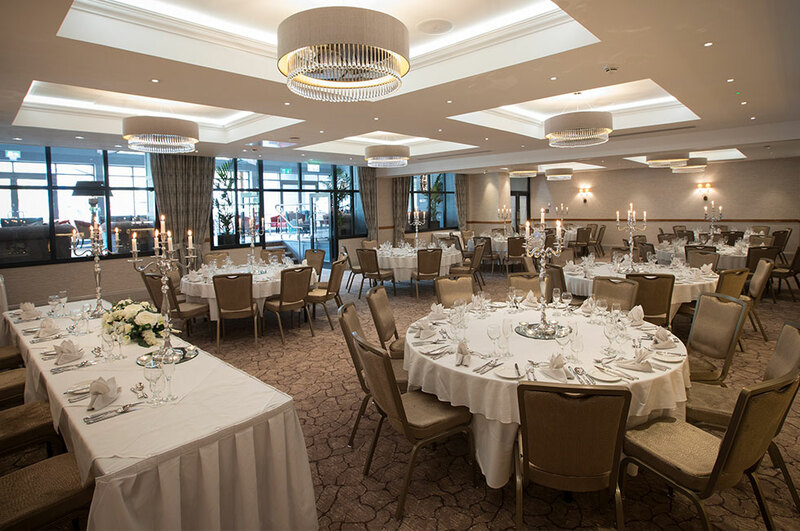 Our Derwent suite sits up to 120 guests for your wedding breakfast & allows up to 150 for your evening reception. Who will be the point of contact in the lead up to my wedding? Our wedding team (Georgina & Nicolle) are available to chat through your plans, meet for a coffee & answer your questions at any time. Do you have a carpark for our guests to use? Yes, we have a private carpark opposite the hotel where your guests can park. Yes, we request you throw biodegradable confetti outside by our garden gazebo. Can we have a live band / DJ? Yes of course; we kindly request they provide us details of their public liability & PAT certificates in advance of the date. When are our final numbers due? We request your final details to be confirmed 4 weeks prior to the wedding. Please chat with your wedding coordinator if anything should change following this time & we will do our very best to accommodate any requirements at short notice. What time do you recommend we get married? Our recommended ceremony time is between 12.00 – 1.30pm. This will give your guests plenty of time to arrive at the hotel (if they are not staying over the night before) but still enough time to ensure you make the most of your special day. Yes! Also, included in our wedding packages are mirrored plates & silver Candelabra centre pieces. Can I bring my own cake / cheese cake? Yes, if you can please let your wedding coordinator know in advance as we do request you sign a disclaimer. Can you cater for all dietary requirements? Will there be another wedding take place in the hotel on my day? Absolutely not! We host only one wedding per day in the hotel to ensure your wedding is completely your own & your party are offered the attention & care you deserve for your special day. How much deposit is required to book my wedding? We request a deposit of £1000 to secure your wedding day along with a signed copy of our wedding contract. Can I invite more guests for the evening? Yes of course, we can hold up to 150 guests in our Derwent suite for your evening reception. Can my dog attend the ceremony? Yes of course – your four-legged friend is more than welcome to attend the ceremony & be present for the all-important photographs! Do you have wedding menus? Yes, we have an extensive menu selector that includes everything from canapes & wedding breakfast choices to street food feasts & spectacular buffet selections. How do guests book bedrooms? A confirmation pack will be sent out to you once your wedding date has been confirmed which includes an accommodation voucher. These detail the preferential rates available for your guests to book, varying on room type. The code can be entered in the promotion code section of our website to book online or alternatively, guests can call our reservations team direct & quote the code. We request a non-refundable deposit of £80 per double bedroom at the time of booking to secure their booking. What time is check in/ check out? Check in is from 3.00pm on the day of arrival & check out is at 11.00am on the day of departure. Any guests wishing to get ready at the hotel, we recommend they stayover the night prior to avoid disappointment. Can I get ready in the hotel on the morning of my wedding? Yes, your wedding coordinator can book your chosen accommodation for the night before upon request. We have a stunning Penthouse suite that sleeps up to 4 guests with separate lounge & balcony with lake views. This makes for the perfect space for getting ready with your wedding party. Can guests staying at the hotel use the spa? Yes of course; guests can pre-book their 4-hour spa slot at a supplement charge of £25 per person, to be used during their stay from 3pm check in until 11am on check out, subject to availability. You can contact our spa team directly to book this.